Joe DiMaggio was there. Jackie Robinson was there. Yogi Berra was there. Pee Wee Reese was there. 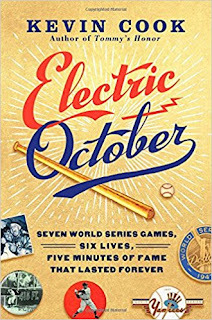 And I felt like I was there after reading Kevin Cook’s Electric October, an account of the 1947 World Series as seen through the eyes of six men whose names haven’t traveled to the present quite as prominently as DiMaggio, Robinson, Berra, and Reese. DiMaggio was returning to the Fall Classic for the first time since serving in World War II, and Robinson was the first African-American to play in a World Series. But while Cook situates the ’47 Series in its appropriate social context, DiMaggio’s celebrity and Robinson’s courage are not featured. Rather it’s a story of triumph and tragedy for more marginal players whose baseball lives did not become immortal but who provided the moments that made the ’47 Series thrilling and dramatic. A big hit, a near miss, and a great catch charge the current in Cook’s story. For Dodger third baseman Cookie Lavagetto, it was the biggest hit of his career… and the last. For every big hit, someone served it up. And for Yankees pitcher Bill Bevens, Lavagetto’s was the only hit he surrendered in his one Series start… and one of the last of his career. Finally, Dodger outfielder Al Gionfriddo recorded an out that was the bang at the end of his short run as a Major Leaguer. Also featured are Snuffy Stirnweiss (probably the Series MVP if it had been awarded then) and managers Bucky Harris and Burt Shotton (the last manager to wear street clothes in the dugout). The subtext to the Series’ defining moments, eloquently captured by Cook’s narrative, is the tremendous surge in baseball popularity after World War II. Cook revives the excitement produced by a record 389,763 fans in Brooklyn and The Bronx that week as well as the sustained tension of each game that only baseball naturally affects. 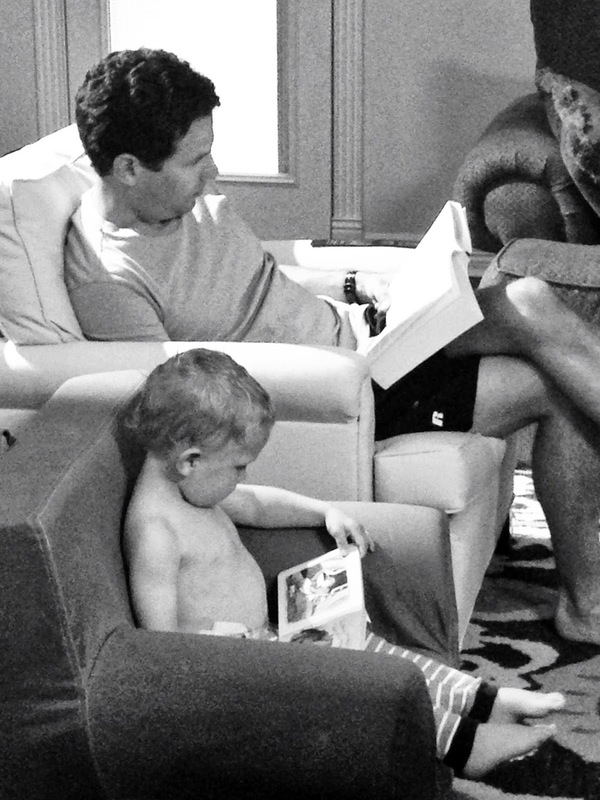 There are some engaging anecdotes too, like how the Grapefruit League got its name, why players left their gloves on the field while they hit, and who started what would become the sabermetric revolution in baseball. Well researched and written, Electric October folds the time between today’s game and its forerunner, revealing that what made the game shine in 1947 still energizes baseball 70 years later. Nearly 19,000 players have worn a Major League Baseball uniform in the league’s 142-year history. Most are mortal, and like stars, they arrive on the scene, sparkle for a little while and then fade away. Electric October is a powerful telescope that lets us see some of the game’s mortals as they once were in their brightest moments.